Meticulous Care Taken On Every Clean – Guaranteed ! Catered for, just give us a call ! Electric, gas, dual fuel or solid fuel. 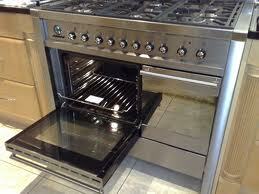 Standard single oven & hob clean is from £55.00, which includes all removable chrome racks and removal hob rings & fittings. We have much experience with all Sizes of cookers, whether domestic Or commercial and have cleaned many Solid fuel burners like aga’s and Rayburns. 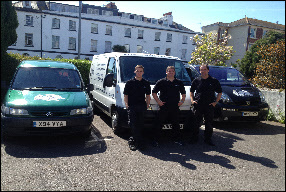 We have over 27 years experience in cleaning ovens, agas, rayburns, hobs, stoves & extractor hoods, there’s nothing we dont know ! 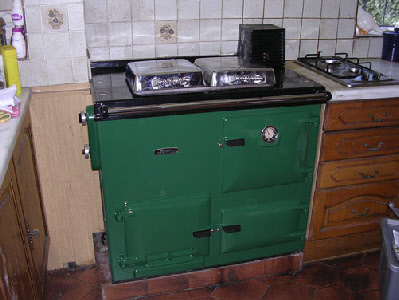 We have much experience with all Sizes of cookers, whether domestic Or commercial and have cleaned many Solid fuel burners like Aga’s and Rayburns. All removable accessories are put in the Dip tank to be restored their gleaming Glory once again. We use a very safe unique oven paste that breaks down & removes baked on carbon & grease. 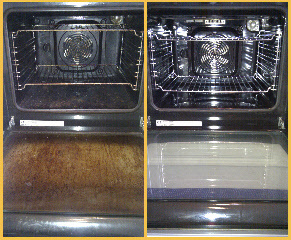 – We find this far more effective than liquid cleaners and has no caustic odour to deal with ! 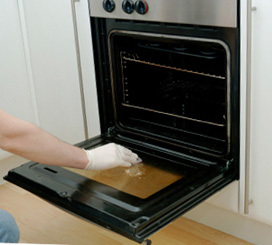 Professional oven, cooker & hob cleaning specialists in Weymouth, Portland, Dorchester, Yeovil, Bridort, Blandford & throughout Dorset.